Saxgroumet pads Kangaroo pads | World Frontier by BEYOND inc.
Kangaroo saxgroumet pad was invented by American famous repair person “The sax god” Steve Goodson. This sensational Saxgroumet pad is black and it is made of Kangaroo leather. 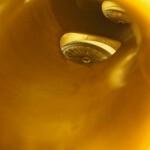 There are various resonators. You can try and enjoy the material and sound of saxophone. 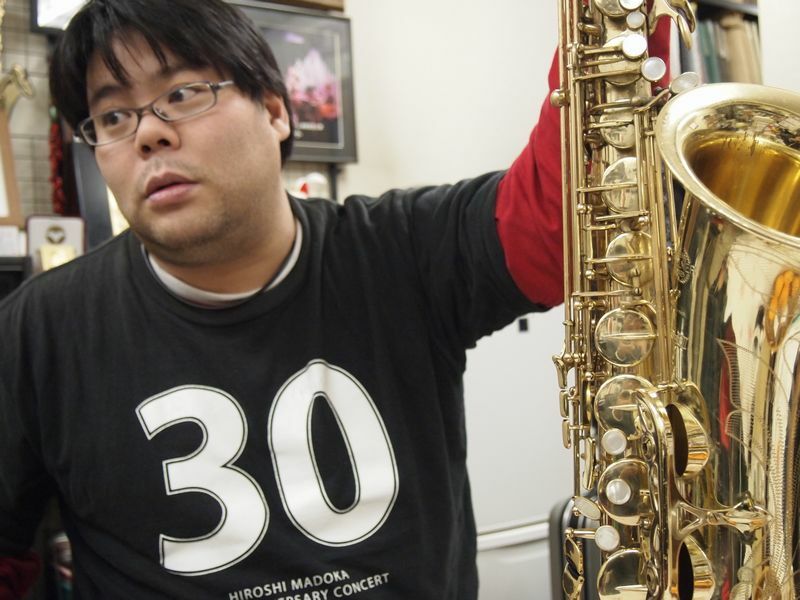 We interviewed professional saxophone player Mitsuhiro Furuya who use saxgroumet pad. World Frontier (WF): For what saxophone do you use saxgroumet pad? 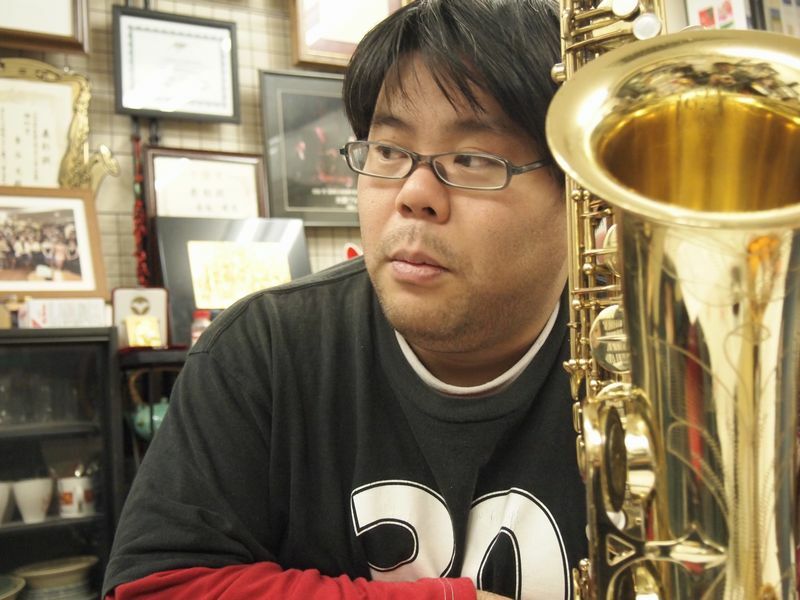 Mitsuhiro Furuya (Mitsuhiro): I use saxgroumet pad on Tenor saxophone Selmer Series III. WF: Why did you start using this kangaroo pads? Mitsuhiro: Firstly, I used to play Dutch saxophone “Toptone” for Soprano and Alto. 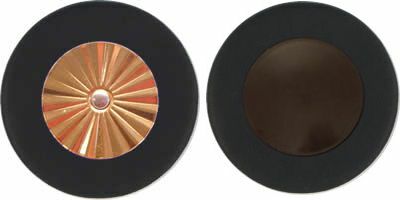 Genuine pads of Toptone was black rubber pads. That pads are very good at stand sound and I really liked it, so I put Toptone black pads on Tenor sax of Selmer SeriesIII. However, one day Toptone went on bankrupt and we never be able to have Toptone pads, then my repair person suggest me using this kangaroo pads. WF: Did you use saxgroumet pads as a replacement of rubber pads of Toptone in the beginning? How did you feel when you change it? Mitsuhiro: I could not use Selmer genuine pads (normal brown leather pads) again after I knew Toptone pads. This Kangaroo pads are basically totally different stuff from Toptone rubber pads but it has similar tone and feeling. WF: What is the pros of saxgroumet pads? Mitsuhiro: Firstly, the solid waterproof and its strength. Secondly, the sound itself. The sound is like a bland new Balance action! I use star-shaped resonator. 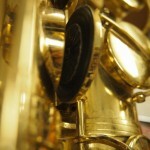 That resonator make a great diffuse reflection in the saxophone and make my sound powerful. Tone itself is rely on neck so pads and resonator is not so important on tone but the power is totally different. Old weaken musical instrument will get new power from this pads and resonators. WF: We heard that Kangaroo leather is very strong. Do you need less maintenance? 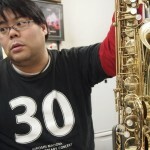 Mitsuhiro: Actually, I’m a quite rough player. This saxgroumet pads have great endurance. I’ve used this pads for 4 years. I never change this pads, probably, I need to change it more ore less in a while. Talking about maintenance, I do it the same frequency as I used to do because Kangaroo pad is soft and easy to expand, I have to close the tonehole tightly. The pads are strong enough not to break but we need pad adjustment. Usual pads are easy to tear. Even the surface are waterproof, once the leather was tore it’s going to be the end of that pad because water can easily harm felt. At that point, saxgroumet pads are never tear. Naturally, it keeps long life. WF: Who is the suitable play-style do you think? 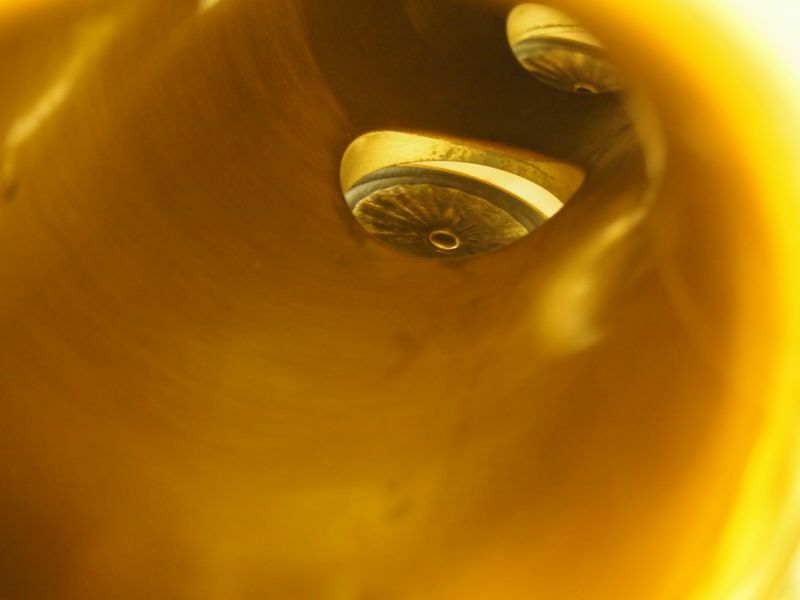 Mitsuhiro: You have to push cup tightly to play because saxgroumet pads are soft, so probably the person who want to play soft and gentle way does not suit for this pads. Generally, this pads are very good for players who want a big sound and also has good key control skill. My repair person said that saxgroumet pads are difficult to adjust because it is soft. Talking about play. It shows quick response. At studio, outdoor live, I think you can use for both situation except soft gentle play at quiet bar. Basically, you can play both small and loud sound easily. For next pads replacement, I shall chose saxgroumet pads for Alto, Tenor and Baritone. WF: Do you have any advice for the player who would use saxgroumet pads? Mitasuhiro: Around me, some players use this pads. 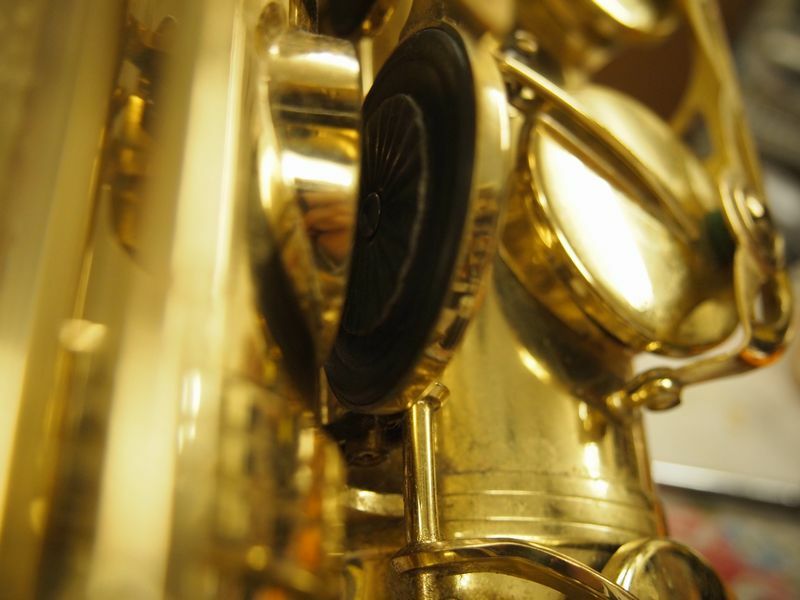 One player use on Selmer Old M6 Alto saxophone and he said it really helped playing saxophone a lot. Probably, this pad helped the weakened saxophone. He used to use ESM Heaven mouthpiece but now he use dark sound mouthpiece because he would not need very Jazzy mouthpiece to play any more. In my opinion, musical instruments are growing. It is stupid that people always use only genuine normal pads. We should choose suitable pads for the musical instrument itself (age, strength, play-stlye). WF: Thank you very much.